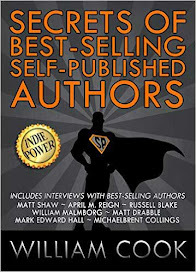 Hi again, today I'm pleased to bring you the second interview in what is proving to be a very popular interview series - Secrets of Best-Selling Self-Published Authors. 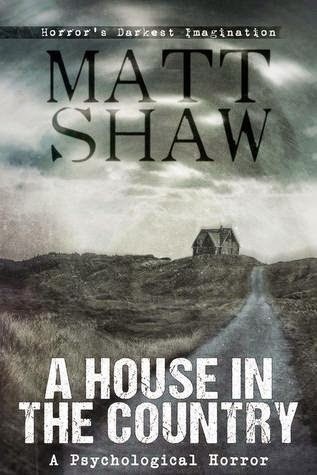 Today's interviewee is none other than the inimitable, best-selling U.K. horror author, Matt Shaw. 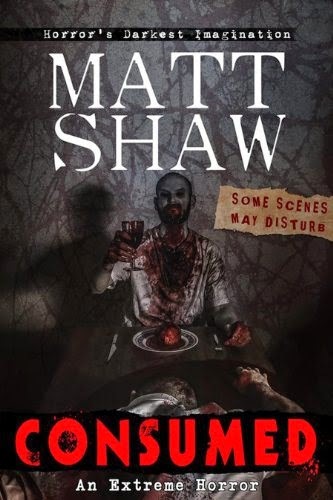 His Amazon Author's page describes him as thus: "Matt Shaw is the published author of over 50 stories. 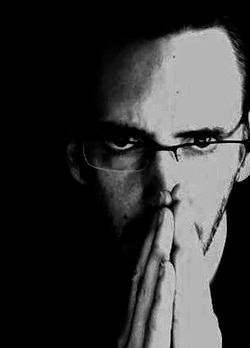 Although known as being a horror author, he also enjoys spending time in other genres too - something he had always planned to do in order to have at least one book, in a wide collection, which would appeal to people from all walks of life. 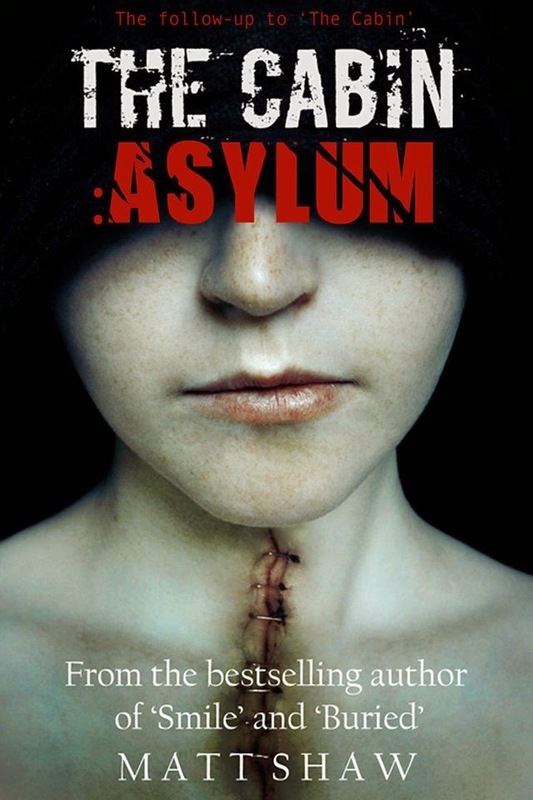 Shaw was first published in 2004 with his horror novel Happy Ever After - the first of his books to reach the number one slot on Amazon and the first of his books to use his trademark style of narrating the stories through the first person perspective. 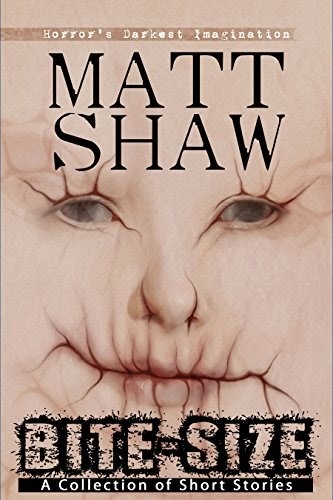 An extremely prolific writer, Matt Shaw is continually writing as well as keeping up to date with his readers via his (some might say) crazy Author Page on Facebook. Once Published weekly in a lad's magazine with his photography work, Matt Shaw is also a published author and cartoonist. More recently he is known for turning his stories into films." Who are you and where do you come from? Do you think that your life experience has gone someway towards making you a successful author in your chosen genre? Matt Shaw. Earthling. Sort of. I was born in Winchester Hospital, down the South of England. I remember the day well. The birds were singing and the Gods were looking down upon my mother, and smiling, as she pushed me out. Then when I was past the point of no return, and spilling into the world, the Gods began laughing at her. “Too late! He’s your problem now, wench!” they shouted in unison. I have always been good at telling stories (don’t mind me, just blowing my own trumpet) but I’d never really found myself an audience, which was frustrating me to say the least. It was only after I was disowned by someone whom was supposed to love me, that I really pushed myself harder and harder with each passing day to prove them wrong in what their last words said of me. Had I not been disowned, I couldn’t honestly say I’d be in this position today. For all I know, I’d still be in the same dead end job that I was in before my personal life exploded. Your stories are many things – violent, satirical, horrific – with an obviously penchant for the dark macabre – if you could pinpoint one thing in particular that has grabbed readers of your work, what would you say it is? I think it is the fact I don’t pussyfoot around with subject matters. I write horror, therefore you need to expect a full-on experience which will - in places - sicken you. Too many ‘horror’ authors are out there now who like to pull their punches for fear of putting the readers off. Horror fans do not want to have things diluted. They want the full experience. Once word of mouth gets out about what I write, they tend to give my work a go and then fall for the writing style (the majority of my books being in the first person perspective). You have enjoyed best-selling status on Amazon recently and have also been the recipient of book contracts and even a movie deal – is there a particular moment in your career as an author that you realized that you had done something right to get where you are now? Can you pinpoint what it was that spiked your success to date? My ‘success’ came about after the release of my first Black Cover Book (black cover books are the extreme horrors). The book - ‘sick b*stards’ - came out and just instantly took off. I was surprised to be honest. The whole thing was written in an attempt to shock and sicken people but they lapped it up. After that, it was all about pushing more Black Cover Books out. I believe there are ten now and that is since February 2014. I have another three written and due out over the next few months too: “Don’t Read”, “ASHES” and “MONSTER” - the latter being co-written with ART co-writer Michael Bray. Did you try to get publishing contracts for your books early on with traditional book publishers? If so, did you have any success there or if not what was it that made you decide to self-publish the majority of your work? I decided to self-publish immediately and have never looked back. Funnily enough now, I am getting knocks on my door from people interested in publishing me but - at this stage - I am not interested. I am doing okay by myself and the publishing companies hitting me up can’t offer anything I am not doing already. Self-Publishing doesn’t really carry the stigma that it used to anymore but I will tell you this - to be noticed, it is extremely difficult. More and more people are turning to writing to make money now thinking they can write the next 50 Shades. It doesn’t work like that. It’s hard to find readers, especially those who have the potential to turn your fortunes around. This is not a short-term get rich quick scheme! What do you see as your most innovative promotional strategy? I don’t sell the book, I sell me. I am turning myself into a brand. Someone people want to check in on, over on Facebook. That strange little horror author who keeps doing silly strip videos, or videos putting condoms over his head. I act the fool to keep people watching. They are then more likely to invest in my work. There are a lot of authors who just continually push their books in the shape of adverts or shout-outs. Really, this isn’t the way. They get lost in a sea of publicity and all read the same and smell of desperation. Whatever you try, the most important thing is to be original! Do not copy someone else, do not rip off a style that you’ve seen work elsewhere. You will highlight yourself for the wrong reasons. What kind of marketing did you do to establish your author brand and what do you think is the most successful marketing for self-published authors? Is there any one thing that you have determined has helped you sell more books – i.e. could you outline your path to establishing your brand and your most successful sales method/s as? As mentioned above: it’s all about selling yourself and making you as a person stand out from the crowd. You do that, it’s half the battle. If people do not like you, they won’t invest. Simple! What are some current best practices that you’re using to sell books? Any tips? I just keep writing and setting up pre-orders for them. I have the next four months sealed with books ready to release in the coming months meaning there is always something for the reader to find on Amazon. But - it means I am also working extremely hard and I haven’t stopped writing for a long, long time! 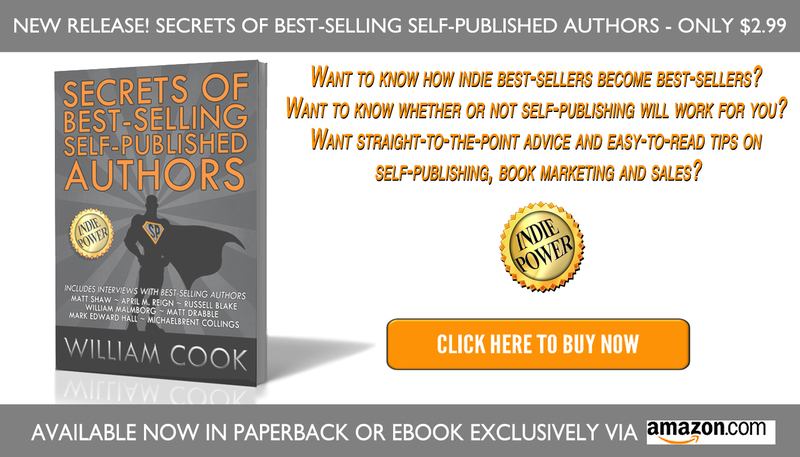 How important are ‘series’ books to your success as a self-published author? They’re not. You write a ten book series but no one reads the first. You need to write lots of different stories and release them thick and fast. If you’re lucky, one will find an audience who will then go back and find the rest of your work. If you have ten books based on the same thing, and the first isn’t a success - neither are the remaining nine. Harry Potter doesn’t happen to everyone and nor does Twilight! Do you design your own covers? 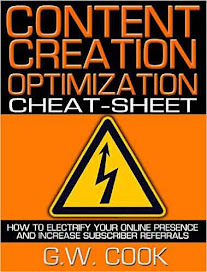 How important do you think cover design is to a potential reader and how big a part do you think it has played in your success to date? Mark Kelly does the majority of my covers. I went to him with about forty or fifty books and said, “Re-brand these”. I gave him ideas of what I wanted (such as same font, tag-lines etc etc) and he gave me a bill. He’s a good man and needs very little input to come up with something truly awesome. He is also grounded. I used to work with one cover designer who had never done a book before. I found her on another site and asked if she fancied it. She did and charged me fairly. We worked together for a while and then her prices went through the roof! Mark keeps his prices fair and discusses them with you before you starts doing anything. Highly recommended. In your opinion, is traditional publishing on the way out? Do you think that traditional publishing can continue to keep up with the rise of self-publishing? I do not understand how traditional publishing is still around with self-publishing taking such a hold of the market. I am surprised more authors do not just put their own work out there and take the money themselves, as opposed to sharing it with publishing companies but, then, I guess it is easier for them and they don’t have further stress other than writing the book in the first place. I hope it doesn’t go anywhere. There are places in the market for both. Would you ever consider signing all your books to a traditional publishing house or will you always mange some of your titles yourself through self-publishing? 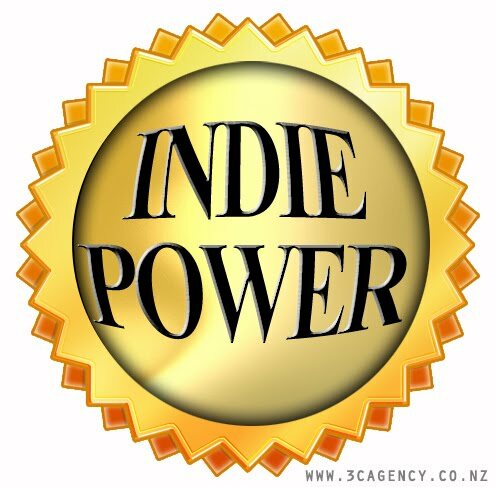 Have you ever used free book promotions? 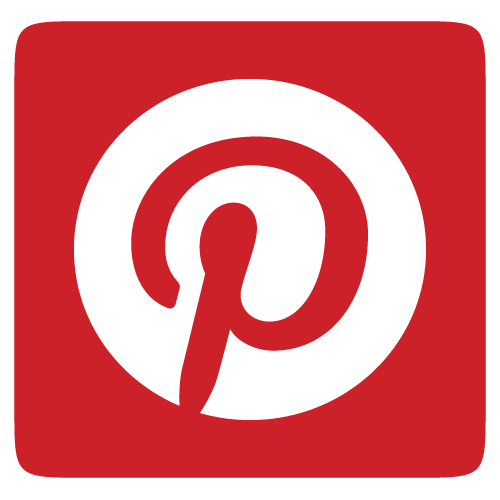 Do you think they are a worth-while marketing tool for self-published authors? If so/not – why? They used to be great but - for some reason - now they don’t really work. There are various sites where you can pay to get promoted on but I don’t think it’s entirely necessary so long as you have marketed yourself properly on Facebook. I did a 99p sale not so long ago and shifted thousands of books without paying out for some company to put it on the web. It was all down to my great readers sharing and spreading the word. The readers are the ones who work magic for us. What avenues of self-promotion did you find to be most effective and affordable? What’s the best ‘bang-for-your-buck’ advertising you have employed? I only use KDP - Amazon’s platform. They have price promotions where you can lower the price for x amount of days. It is free to do it but you need to be exclusive to Amazon (which I am). I once tried putting my books on other sites but the perks of being exclusive to Amazon are worth too much to me. And - the other sites - I did next to no sales! I think in one month I sold two books on one of the sites…. Not really worth the time of uploading them. What would you say is the single biggest advantage of deciding to self-publish? Keeping control and all rights to do as you please. I do not have to worry about anything other than entertaining my reader and giving them a good story. Are there things you feel as though you missed out on by not going down the traditional publishing route (working alongside an editor, for example)? I hire an editor. I hire a cover-designer (unless Black Cover Books which I do myself or the Red Cover Erotica which I also do). At the moment I have no regrets. The only thing I’ve not received is obviously an advance but I know I’d spend it all in one weekend and then have nothing to show for it. I’m not very good with money! You use social media a lot and interact with your readers – how important do you think this is to becoming a success as a self-published author? Extremely. Why would they support you if you ignore them. I had an email the other week from a reader who got in touch. I’ve never heard of them before but replied. They then came back to me saying it was a surprise and how they’d email this other author twice who had chosen to ignore them. That is not good. An author is NOTHING without their reader. That’s why this year - every month, when my bills are paid, I am treating my readers. For example, I am surprising a reader with a surprise visit soon (can’t say more yet), I took some readers to the pub, I’m taking another out for a meal with her husband and then I am sending signed books across the ocean. They give me their time, I want to give something back. I also take pride in the fact I reply to everyone even though, I’ll be honest, it’s taking longer and longer each and every day! I won’t be stopped though! Are you in regular contact with other self-published authors and how important was any input you may have received early on in your career? Do you have a mentor in terms of your self-publishing success – someone who may have inspired you to ‘give it a go’? I did this because I wanted to do it. I have always been part of a social network of authors and I’ve always set my sights on them, to learn from them and take what I can. Iain Rob Wright, for example, always used to put tips in his blogs and little notes up on Facebook about what is working for him. or what wasn’t. Some of his ideas I have used, some I have tried something else with - with varying degrees of success. Now I find myself answering questions from authors who are keen to get into the game. We all need to help each other but sadly it doesn’t work like that some of the time. There is a lot of jealously in the industry and it can be horrible. Especially when it is from unexpected sources. Can you offer any advice to fellow writers if you could go back in time and “do it all over?” What’s your top tip for other indie authors? Don’t stop writing. Don’t get wrapped up writing a 100,000 word novel that no one will read. Start with novellas. Get a back catalogue of books that people can pick up and read. Don’t get greedy, putting high prices on your books (mine are 99p - £2). Don’t get an ego and think you’re something you’re not. We are only here because of our readers. I know I keep saying it but it’s important. They’re the ones in control and they’re the ones who deserves respect. Finally, thanks for sharing your thoughts on self-publishing. Where is the best place for readers to find your books? 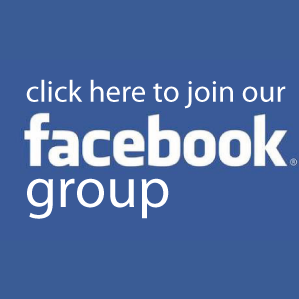 *Please note: this is a family-friendly site as we get visiting entrepreneurs of all ages. Please refrain from using profanities or non-related posting (esp. SPAM!). Thanks, Admin. Tips, Interviews, News & More . . . Guest post - How to Jumpstart Your Writing Career Today! 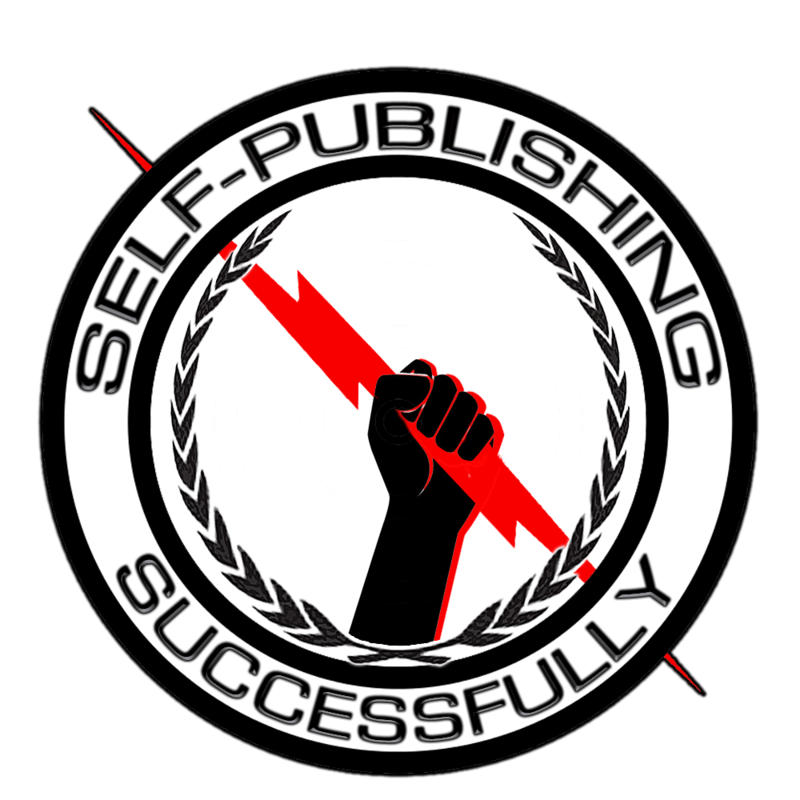 All Content Copyrighted - Selfpublishing Successfully (C). Awesome Inc. theme. Powered by Blogger.